Danny Beaton and Bacher focused on protecting the Nottawasaga River and the Minesing Wetlands from the polluted storm water that is set to flow from the Midhurst Secondary Plan. Danny Beaton, Dr. John Bacher on Simcoe County’s inevitable Greenbelt. Now in a ponderous and tentative way the Ontario government is engaged in a consultation to expand the Greenbelt into the sacred heartland of Huronia. It is the core of the civilization that produced the prophetic figure, the Peacemaker. Technocratic words about wetlands, cold temperature water, moraines, aquifers, base flow and the key indicator species, the Brook Trout are the language of the long overdue exercise to expand the Greenbelt. They have little resonance however, compared to those expressed by Danny Beaton’s, passion for Mother Earth. Beaton, a Mohawk of the Turtle Clan, took his great stand in the defense of Mother Earth in the campaign to defend the world’s purest source of drinking water. It was located near Elmvale, where the greatest settlement of the people of the Peacemaker was located. Beaton has termed The Peacemaker’s World, “The Healing Place.” He finds its “probably one of the most beautiful places that I have been to in my entire life. The waters are everywhere. The forests are everywhere. We pick the berries.” Here he eats the fish and gathers cedar on a regular basis. There was a 22 year struggle that sought to protect the world’s cleanest water from becoming a garbage Dump. It was called based on an engineering report, Dump Site 41. Beaton played a major role in stopping the dump from receiving garbage. Following the Walk Water Beaton organized an occupation of the site. It blockaded excavation machines from digging up the Sacred Mother Earth of the Peacemaker’s World. from the ancient times from of his ancestors. Beaton was arrested on the blockade line by Ontario Provincial Police (OPP) officers. At the time of his arrest he was submitting his photographs of the struggle to First Nations Drum and News From Indian Country. At the time he was using an upright log for his desk and sitting on a lawn chair. After being put into handcuffs he was taken to the OPP Midland Detachment Center. In refusing to sign the form Beaton’s words were simple but eloquent. He told reporters, “Who Will Speak to the Water?” These were his last words to the press before spending three days in prison, before his bail hearing. water had taken on the form of a great scientific experiment. It exposed the lies of the engineering professionals that had been used to deceive the voting public of Simcoe County. The stain on the water became a dirty mark upon the politicians who backed Dump Site 41. If so much damage could be caused by simply digging a pit, what people reasoned, would be caused by dumping garbage into it? councilors, denouncing them for believing the lies of the engineers. When Beaton arrived in the Barrie Simcoe County court house, everything had changed. He was released in the knowledge that work on Dump Site 41 had been halted. The excavations were healed by restorative work. Eventually easements were put on the land by the Ontario Farmland Trust, to ensure that this prime Class One soil would remain in agricultural use forever. Beaton a few years later came to the rescue to another threat to the cold pure waters that feed the cold water trout streams that flow into lower Georgian Bay. This new threat was termed the Dufferin County mega quarry. Much like Dump Site 41 before Beaton’s involvement, opponents of a mega mile quarry on Canada’s best potato growing land had been getting nowhere. Farm houses and buildings were burned down. Their debris clogged local dumps. Forests were clear cut in violation of tree protection by laws. Fence rows were ripped up. By suggesting they take a hike Beaton meant they should follow the example the stopped Dump Site 41. He called for a procession from Queen’s Park, the seat of political power which could kill the Mega Quarry, to the site of the proposed giant pit. The march was held and captured the public’s imagination. This sparked by death of the scheme through the unusual imposition of an Environmental Assessment. After the end of the five day trek Beaton and I were led by one of the organizers Smiling Yogi to a place where he promised we would appreciated what the hike was all about. He took us to one of the magnificent cold water streams of Huronia. Yogi took us to a White Cedar Brook Trout stream which is an important tributary for the cold water Nottawasaga River flowing into Georgian Bay. Here Brook Trout leaped through its sparkling fast running waters, laced with riffles, runs and pools. It was lined with verdant green watercress. Beaton is now focused on protecting the Nottawasaga River and the Minesing Wetlands from the polluted storm water that is set to flow from urban expansion in Midhurst. His passion for Mother Earth gives substance to the call of the public consultation document for the expansion of the Greenbelt in Huronia called appropriately, “Protecting Water.” The document exposes how urban sprawl is a threat to the wetlands and trout streams that nourish Georgian Bay. But he expresses it was t through the wisdom of native people who see sacred waters as Mother Earth’s blood. Click here for a pdf copy of the article. Having native wisdom on Ontario conservation authorities would be a good idea. Progress via bringing back the provincial appointees and having aboriginal voices heard. Review of Conservation Authorities Act Critical to Bringing Native Wisdom For Ecological Restoration. From now up to October 19th there is a brief window of opportunity for the public to have a say in the governance of the key government entity that fosters ecological restoration-Conservation Authorities. Created under provincial legislation in 1946 and slowly adopted often over great resistance by municipal governments, conservation authorities have been the single biggest force in restoring forest cover in southern Ontario. Under their guidance this has soared from 9.7 to 25.2 per cent. This healing of the earth brought an end to marching deserts and flooding of cities sparked by deforestation. Simpson notes that “Throughout Canada’s colonial history there has always been a small group of settlers that has refused to uphold the system, that have chosen not to follow the inherited mandate of their forefathers.” Such a dedicated exemplar of defending the traditions of our province’s native peoples was a close friend of mine, Brian Wiles-Heaps. Wiles-Heap worked closely with the Iroquois Confederacy in important ecological actions such as their occupation of the Dunnville Weir of the Grand River in the late 1980s and early 1990s. The occupation was a protest against the flooding of Iroquois lands in the 19th century by the Grand River Navigation Company. A bold ecologist, inspired by traditional Iroquois teachings such as the Great Law of Peace, Wiles-Heaps subsequently went on to another important task-protecting the world’s tallest trees, the California Redwoods, from corporate pillage. For understanding the problems which will hopefully be addressed by the current government’s review of the Conservation Authorities Act, it is important to understand how Wiles-Heap was able to progress in his efforts to restoration. Wiles-Heaps got nowhere with the municipally appointed members of the Grand River Conservation Authority Board,. They continued to champion the abuses of the past and even supported schemes to canalize the river. However, Wiles-Heap through the provincially appointed members of the board, notably the Chairman, Archie MacRobbie, helped secure the Grand River Strategy for Management of a Heritage River. It was signed in 1994 by MacRobbie and the then Minister of Natural Resources, Bud Wildman. After Wiles-Heaps left Ontario to save the Redwoods I inquired as to how progress was going in securing advice from the traditional Iroquois Confederacy government. I was shocked to discover that this all ceased in 1996 after the passage of the Omnibus Bill by the then Premier of Ontario, Mike Harris. After the bill passed the chair and the other four provincially appointed members of the conservation authority board were all expelled the native voice in its deliberations were silenced. Into limbo went of the efforts through the land claim, of the Six Nations Iroquois Confederacy to restore forest cover alongside streams to enhance fish habitat. Another disgraceful firing episode of conservation authority staff for defending forests and wetlands took place in 2013, 2014 in the Nottawsaga Valley Conservation Authority. Senior Planner for the authority, Patti Young, was fired after a May 29, 2013 letter to Springwater Township. The letter raised a number of questions about proposed urban expansions in the township. This was followed by the June 5, 2014 firing of the Chief Executive Officer of the authority, who had served for 22 years, Wayne Wilson. Wiles-Heaps’ work to express the views of the traditional Iroquois Confederacy in government forums has been continued by the Danny Beaton, a Mohawk of the Turtle Clan. Beaton has become a strong voice for the restoration of provincial appointees on conservation authority boards, and securing native representation, especially for the traditional Iroquois Confederacy. Beaton attended a public meeting on September 18th in Newmarket on the future of the Conservation Authorities Act. After this session, he gave an eloquent call for public participation in the consultations. He observed that, “So we have a coalition of earth based organizations with a common vision of the sacredness of Mother Earth, forests, plants, lakes, rivers and wetlands. Now it is up to use if we will now begin to heal and really fight for her safety, health and the gifts that she gives us humans. We as the humans have the honour and duty to be a voice for Creation, the animals, birds, fish and insects. So I ask your leaders concerned for Mother Earth to unite with the native people who have the experience and blood lines to work together now while there is still hope of restoring Mother Earth back to good health for our children. We need to work on opening our hearts and minds like good hearted people who belong to our Mother Earth, be spiritually creative, building and organizing ourselves to be strategic and loving. John Bacher PhD is an environmental writer, researcher and consultant, JohnBacherPhD.ca. 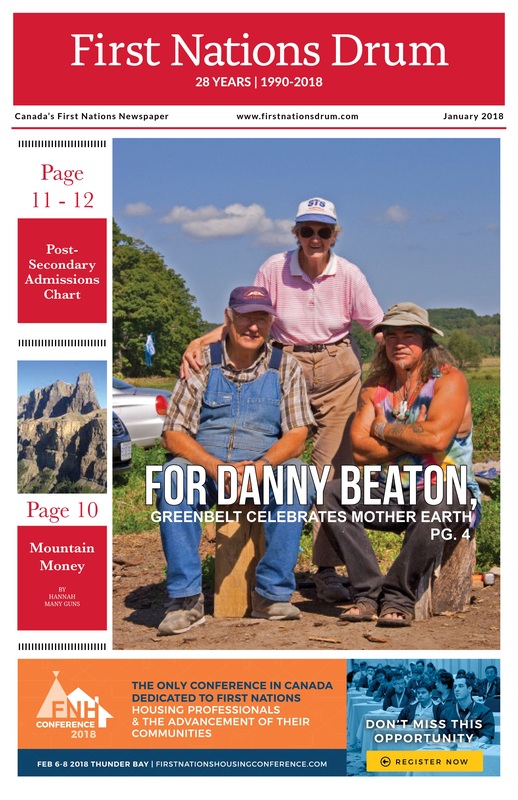 Danny Beaton is a Mohawk elder who protects Mother Earth, DannyBeaton.ca. Originally published on DemocracyWatchSimcoe.ca with photos by Les Stewart MBA, LesStewartConsulting.ca. Is a Waverley Mega Quarry in Tiny Township, Simcoe County worth this threat to the Alliston Aquifer…again? Tiny Township is blessed to have some of the rarest and largest old growth forests in southern Ontario south of the Canadian Shield, an ecosystem known as the Mixed Woods Plains. It is tragic that one of the best examples of this precious and threatened relic of Turtle Island before the impact of Euro-Canadian colonization, is now threatened by a proposed zoning amendment. It would change the zoning of lands now protected as Rural and Agricultural and designated as Significant Forest by Tiny Township, to permit the expansion of the existing Beamish quarry. In addition to devastating forests the Beamish quarry expansion proposal is an attack on the world’s purest water, the same important source for the Alliston Aquifer that was battled over in the long struggle against Dump Site 41. Elaine Stephenson a champion of the French’s Hill Forest, has explained how she appreciated from childhood how the purity of her well water from this unusual geological feature. On this basis the quarry scheme was denounced by a leading foe of Dump Site 41, Stephen Odgen, at a October 13, 2009 meeting of the Tiny Township Council. Part of the opposition that the Beamish scheme encountered when it was put forward at two meeting of Tiny Township Council in the winter of 2015 was that the pit proposal should not go forward until the work of he Severn Sound Environmental Association on the natural heritage of Tiny Township is properly reflected in its land use planning and zoning documents. This is an excellent critique since current land use planning both in Tiny Township and throughout Simcoe County does not make the best use of scientific studies of wildlife habitat, forest cover and old growth. The critique of residents who have mobilized themselves into a Save the Waverly Uplands alliance is bolstered by the background environmental research that has been done into the provincially significant woodlands that surround the existing Beamish quarry. The work of the Severn Sound group builds on an earlier study, which in a tragically slow way, is shaping environmental planning in Simcoe County. This is report on “The Development of a Natural Heritage System for Simcoe County.” It was prepared by the Gartner Lee engineering firm for the Simcoe County Council in 1996. The Gartner Lee report, now almost two decades old, provides a reasonable way in which to protect Simcoe County’s forests. It called for the protection of large blocks of forests of around 40 hectares in size, which is responsible for the current mapping of French’s Hill as a provincially significant woodland. Such woodlands straddle both sides of the border between Tiny and Tay townships. The slowness in the adaption of the Garner Lee report into the Simcoe County official plan is one of the reasons the municipality has been ridiculed by the respected Neptis Foundation as the “Wild West” of urban sprawl. The Gartner Lee report recognizes the value of the large tracts of forests that endure in Tiny Township that are old growth as surrounds the Beamish quarry. It expressed amazement that here there are still “vast tracts of forest” in predominately hardwood old growth conditions. They are it stressed, a vivid contrast to the coniferous plantations established in other parts of Simcoe County to rescue it from desertification. The insights of the Gartner Lee report in protecting the old growth forests of southern Ontario are reflected in the Ministry of Natural Resources (MNR) Natural Heritage Manual. They stress that old growth forests “are particularly valuable for several reasons, including their contributions of species genetics and ecosystem diversity.” One obvious example of this is that their survival allow winds and birds to transfer native hardwood species to managed plantation forests. The MNR manual provides a careful definition of what constitutes an old growth forest. This is done through hitting any of three measures, age (around 100 years), basal area or diameter width. One basic approach is 10 or more trees at least 50 cm in diameter per hectare, or 8 trees of the same area of 40 cm. When I saw tree cutting recently at French’s Hill I was horrified to see an old growth forest slashed for no apparent reason than to downgrade its rating in the MNR manual. The forest was of predominately giant sugar maples, regenerating in a healthy fashion with a blanket of seedlings. 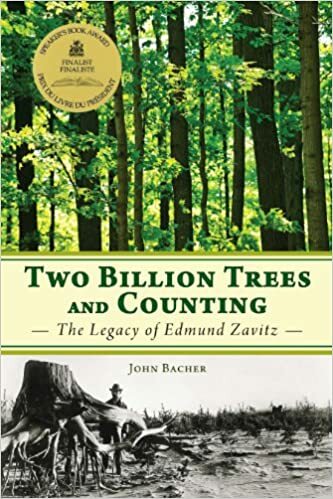 However, the quite recently stumps seemed to offer proofs that many giants had been cut with the deliberate purpose of reducing the density per hectare required to be considered an old growth forest. Posted on SpringwaterParkcc.org and iLoveMidhurst.ca. A 600 acre Waverley Mega Quarry in the making? How much cash does a corporation get when they cut down old-growth maple trees in Simcoe County? Is Danny Beaton crazy for defining a “terrorist” as someone who opposes life?